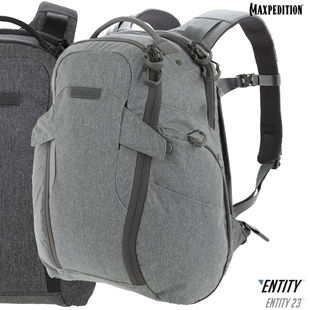 Canada's Source for the Entity27™ Backpack by Maxpedition's Entity™ Series. 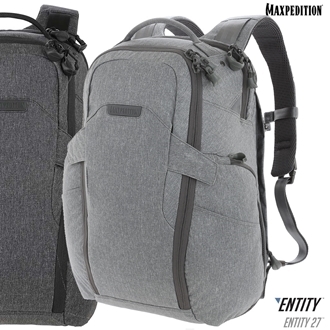 "An ergonomic pack with padded shoulder straps and quick release buckles. " The Entity 27 is an ergonomic pack with padded shoulder straps and quick release buckles. 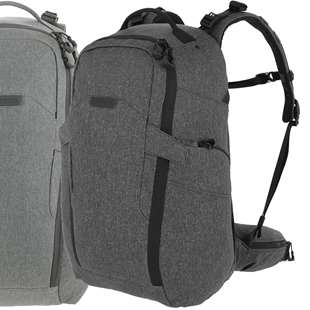 There is a dedicated locking and padded compartment, which can hold a 15” or 17” laptop. The main compartment is also lockable and has drawbridge straps for additional security. The front exterior has tuckable magnetic wings for quick temporary closing of the main compartment. 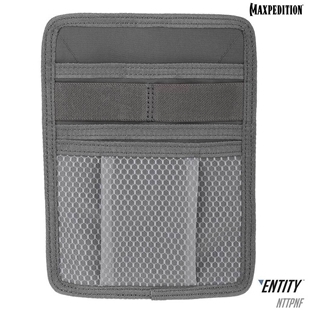 The dual access rear CCW compartment is fully loop-lined, and a double-sided hook Security Lockout Strip is included. Dual side ports are perfect for headphones, charger cables, etc. A rear trolley handle pass-through allows for off body carrying while traveling. Dual side ports for headphones, charger cables, etc.